SREEVATSA REAL ESTATES PVT LTD is a leading promoter of homes and commercial real estate in the region. 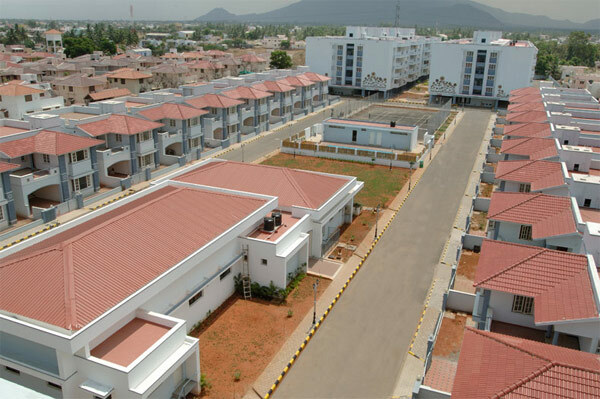 Identifying exponential opportunity in the housing needs of the city, Sreevatsa set about converting available land banks into aspirational living spaces - a first among which was Sreevatsa Gardens at Thudiyalur at Coimbatore, which till date enjoys iconic flavor as a destination for peaceful and quality living. Since 1995, Sreevatsa Real Estates has arduously built trust amongst its customers and delivered many a home to them, endearing the brand in their midst as s 'dream come true' for homes and commercial spaces. 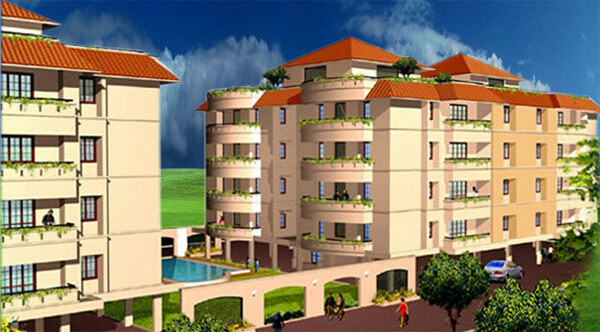 Right from its first project of Sreevatsa Gardens, each project of the Company has been a run away success. The Company has successfully executed mini townships, Commercial Complexes as well as apartments which have become landmarks all over the city. Sreevatsa Real Estates Pvt Ltd, an ISO certified company, is a member of CREDAI, Tamil Nadu. Considering the overall growth, the Company has realized the need for implementation of ERP System as a helping hand for their Employees. The company concentrates on improving the Operational Efficiency, Consistency and Accuracy with implementation of ERP. LiAnCa is set in Race Course, a location that is green as green can be. With lung spaces and green cover that only Race Course can boast of, living here is like living in the lap of nature. The ring road, in front of this site, so to speak, is lined with trees and more importantly, a broad walking area that runs along it. Located in 1 Acre of land at 247, Race Course, Coimbatore, Sreevatsa LiAnCa is an exclusive multi storied apartment consisting of 44 Apartments and 4 pent houses which suits the upwardly mobile aspiration of buyers to join the exclusive community. This is expected to be handed over to clients during March 2020. Akshara is located in 20 cents of land at 5th Cross Road, Bharathi Park, Coimbatore, an area for its class and elegant living. 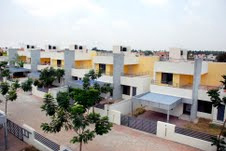 Akshara is surrounded by foremost educational institutions, well maintained parks, Hospitals etc. 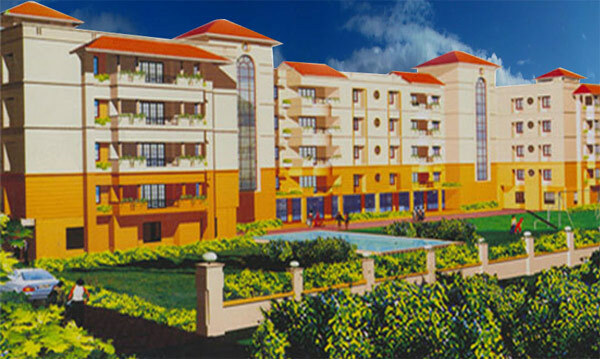 This project consists of 4 Nos of 2 BHK and 8 Nos of 3 BHK apartments. Construction completed in all respects and handed over to clients for occupation during Oct 2016. A modern 2 BHK & 3 BHK apartment complex located at Bhasyakaralu Road, R.S.Puram, Coimbatore in 28.2 cents of land hosts a range of basic amenities that facilitate easy occupancy and a comfortable life style for all 24 families. Construction completed and handed over to clients for occupation during Aug 2015. Shivalaya Apartment Complex is located at Sastry Road, Ram Nagar, Coimbatore in 21.6 cents of land, near to Bank, Mall, School, Railway Station, Bus stand. Shivalaya provides its residents a modern day home with common utilities that makes living in them a delightful experience. Consisting of 2 & 3 BHK, only 12 families will gain the ownership of exclusive luxury apartments. Construction completed in all respects and are ready to occupy. Sreevatsa Srilakshmi adds a new dimension to luxury living. 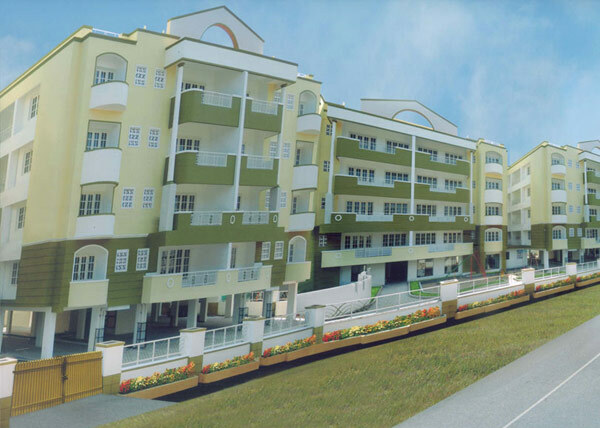 This project is situated at Peelamedu, Coimbatore close to CODISSIA Trade Fair Complex and Air port. This area is well known for Educational facilities with many reputed schools, Engineering and Arts colleges, Medical Colleges, Hospitals Malls etc. 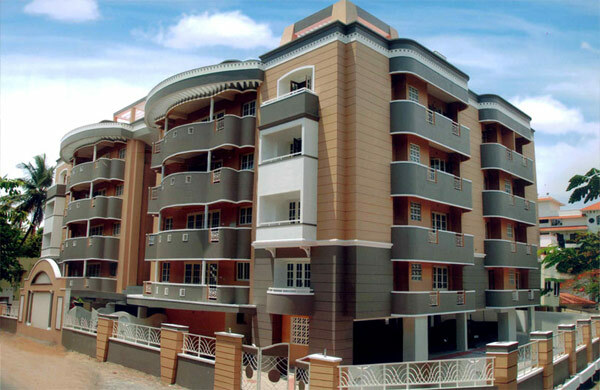 This project with 80 apartments in 1.4 acres of land is completed and ready to occupy. This beautiful gated community situated in the fast developing suburban area in Saravanampatty, in Athipalayam Road, adjacent to CMS College, Coimbatore, being built in an area of 20.625 acres. Sreevatsa Global Village comprises of 43 exclusive independent villas and 448 luxury 3 bedroom apartments with lot of comfortable living facilities like tennis courts, swimming pool, landscaped gardens, children play area, STP etc., Sreevatsa Global Village is close to engineering colleges, airport, railway station and easy accessibility to various IT companies located nearby. The vast green landscaped walkway within the gated community and coconut groves outside the complex provides an exclusive ambience to the gated community. This Project offers a revolutionary concept of community living by meeting age-specific, time- specific and individual needs. Phase I, II & III are completed and handed over to clients. Construction of Phase IV of 112 apartments is completed in all respects and ready to occupy. Now, booking is open for 52 flats. This project revolves around the twin themes of aesthetic and affordability. For many families aspiring to own a quality Sreevatsa Homes and yet stay within the budget, this project offers an ideal choice. This project comprises of 464 affordable two and three bedroom apartments in 28 blocks in land area of 8.08 acres on Kalapatti road near to various IT sectors, airport, engineering colleges, hospitals etc., Sreevatsa Sankara is the best buy that money can buy. First and Second Phase of the projects comprising of 208 apartments have been completed in all respects and handed over to clients. Spaciously designed in 23.26 cents with an apartment area over 2,467 sft to 2,630 sft each at R.S.Puram. This project is an artistic expression of living spaces. The amenities are the best in class and matched by few luxury apartments in the city. Only 8 families have the privilege of residing in these luxury apartments. The company made a new venture for a multi-storied building in Chokkampudur, close to R.S.Puram in 2.65 acres of land comprising of 2 Blocks with G + 7 floors, 128 apartments. The Project consists of 3 bedroom flats ranging from 1512 sft to 1684 sft, an exclusive club house, gymnasium and a Join Temple to add serenity to the place. Project completed and handed over to clients during June 2014. This project consists of 72 apartments in two blocks in land area of 1.60 acres on the main Thadagam Road near to Avila Convent and various schools. Being built on 1.35 acres of land, this houses 12 exclusive villas bought by those who prefer privacy and peaceful living and these villas are located near engineering colleges, hospitals, banks, super markets and easily accessible from Kerala within 45 minutes. 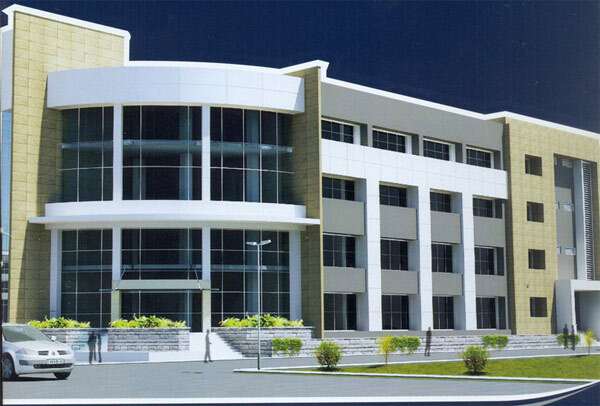 This is a second commercial development in 32 cents of land on Mettupalayam Road comprises of 2 basements for car parking and 4 floors each of plate area of 47,754 sft, two floors bought by an IT company, two floors by a financial management company. An Out let of Sreevatsa Organic Farm Products is run in this Complex. 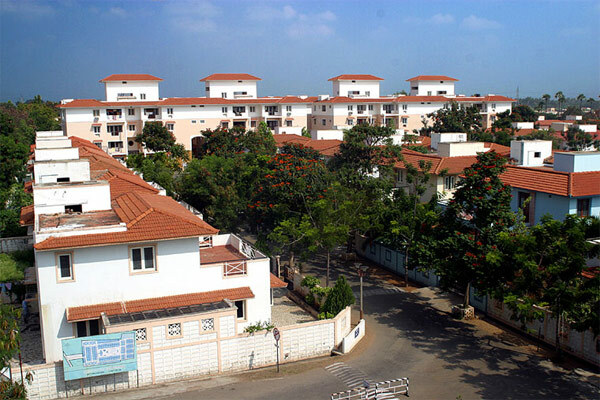 Built on Bharathi Park 1st Cross, Saibaba Colony is a refreshing break from the run of the mill apartments. There will be touch of artistic elegance and architectural grandeur in this project having 24 numbers of three bedroom apartments in 70 cents of land with exclusive club house, gymnasium, swimming pool, landscaped gardens with children play area add to the residents comfort. Built on Bharathi Park 1st Cross, Saibaba Colony in 40 cents of land, one of the prestigious residential areas of the city provides a new dimension to luxury living, comprising of 16 luxury flats of more than 2500 sft. each with exclusive club house, gymnasium, swimming pool, landscaped gardens with children play area add to the residents comfort. This gated community project is built up in an area of 8.08 acres on the main Mettupalayam Road and houses 224 apartments and 20 villas with a great ambience for comfortable living. 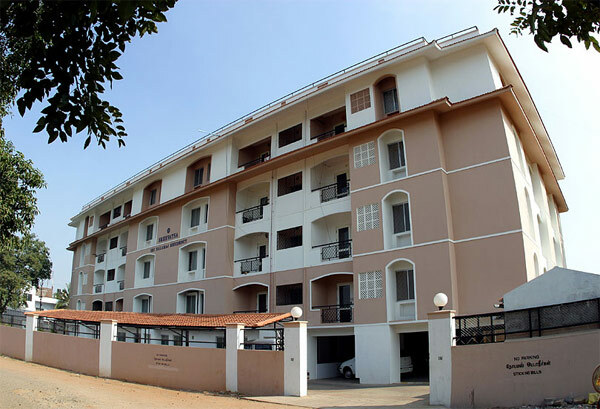 Also provided in this complex, a tennis court, swimming pool, community hall with shuttle court, club house and the entire complex is developed with a view for luxurious living for the discerning few away from the city and yet close to all facilities like hospitals, banks, schools and super markets with a view of beautiful Western Ghats. Spread over 8.1 acres of land on Mettupalayam Road, Sreevatsa Enclave comprises of 49 individual villas with exclusive club house, swimming pool, tennis court, landscaped gardens and with a beautiful view of the Western Ghats. Located in the prime location of New Damu Nagar, 32 apartments comprising of 2 and 3 bedroom flats is close to airport, hospitals, colleges etc., An exclusive club house, children play area and softener treated water add to the residents comfort. Located in the prime area in North Coimbatore, Alagesan Road in land area of 80 cents, two blocks comprising of 24 apartments and 16 apartments with exclusive club house, gymnasium, and children play area introduced a new dimension for luxury living in Coimbatore. Built on the main commercial hub of Coimbatore, in 100 feet road, Gandhipuram, there are 4 commercial outlets in the front facing 100 feet road and 16 apartments in the rear. 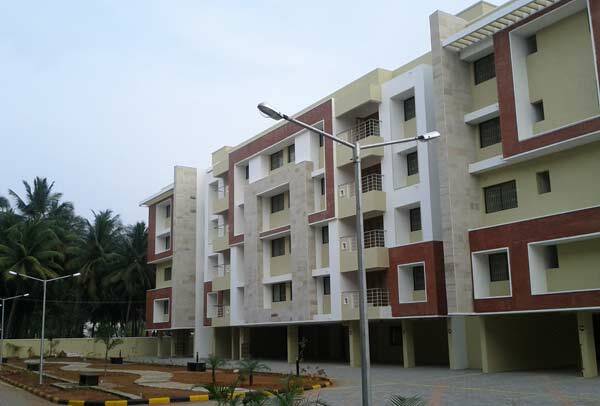 An apartment block at Saibaba Colony, Coimbatore has only 14 flats of 2 bedrooms each. 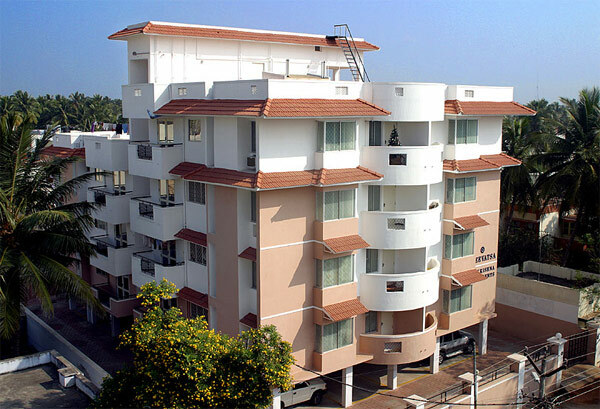 The maiden housing project in Chennai, has only 7 exclusive deluxe apartments built on 2.5 grounds. 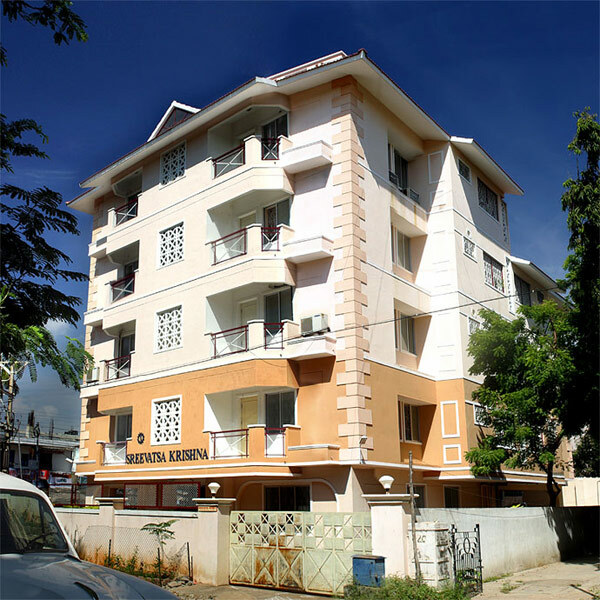 Located in the prime area of Damu Nagar, this 32 apartment block consisting of three bedroom and two bedroom flats is close to the city s commercial hub. An exclusive club house, a mini pool and children s park add to the residents comforts. 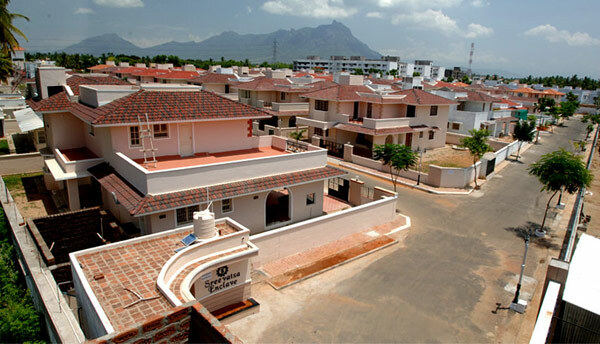 This residential colony at Kovaipudur comprising of 120 independent villas has come up on 12 acres of land. The colony has an exclusive club house, temple, jogging track and landscaped gardens. 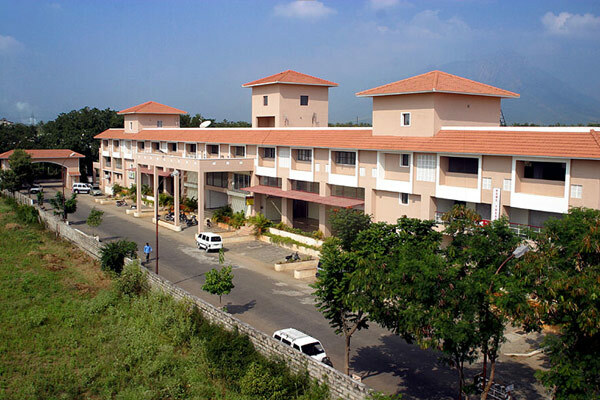 The adjacent commercial complex Sreevatsa Hillview Shops meet the needs of residents and the neighbourhood. A commercial complex adjacent to Sreevatsa Gardens, with built up area of 45000 sft in one acre of land having Commercial Shops in basement + three floors and accommodates a Departmental stores, restaurant and various shops. Spread over 24 acres on Mettupalayam Road, Sreevatsa Gardens comprises of 158 independent villas, 48 duplex houses and 128 apartments. An exclusive club house, swimming pool, temple and landscaped gardens add serenity to the place. The adjacent commercial complex Sreevatsa Square meets the needs of residents and the neighbourhood. Copyright © 2017 Sreevatsa Real Estates | Powered by AES Technologies Pvt Ltd.